During the infamous polar vortex winter of 2014, as temperatures plummeted across North America and even trains came to a halt, a transportation engineer inside AB InBev’s St Louis headquarters reached out to a company that appeared uniquely suited to solve its frozen beer problem. 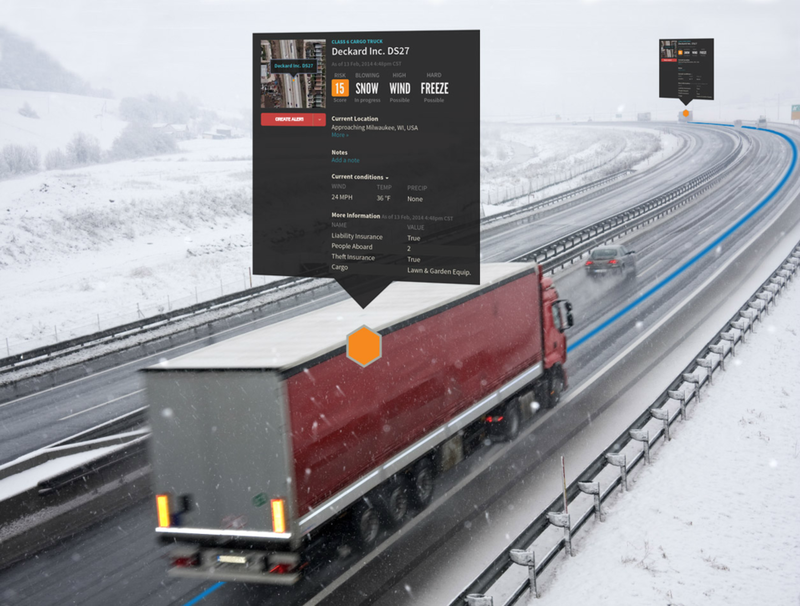 Riskpulse, whose mission it is “to synchronize commerce and climate,” took that call and began to work with the temperature-sensitive shipper to detect risks across their network: first at the lane level, then at the shipment level, and most recently, down the level of individual quality specifications. With these analytics, AB InBev now had x-ray vision into risks downstream from its breweries and upstream from its wholesalers. “With Riskpulse, we now have shipment-by-shipment analytics on the impact of severe weather. We are making more intelligent decisions on modal usage, equipment selection, routing, and shipment timing,” wrote James Sembrot, AB’s Senior Director of Logistics Strategy. Since then, Riskpulse has expanded both its customer footprint -- they score more than 2 million shipments per year for the likes of AB, Unilever and MillerCoors, and its vision. “Rather than just detect risks, we can compare options and provide recommendations to reduce those risks,” said Matt Wensing, CEO. Similar to the cost-benefit analysis provided by a consumer tool like Kayak.com, Riskpulse now provides shippers with risk-adjusted comparisons of dates, equipment, mode, and lane, multiple days before carriers are asked to move their freight. This enables a real-time optimization at the planning stage that drives measurable results. “We’re in the business of making shippers even stronger -- improving their service, quality, and cost-effectiveness,” said Steve Bennett, Riskpulse’s COO and customer success leader. One shipper that has experienced these benefits is Unilever. Marc Engel, Unilever’s Chief Supply Chain Officer, recently cited a 50% reduction in response times and 20% reduction in quality issues--fewer lost loads and customer complaints, after installing the predictive and prescriptive analytics within their North American supply chain control tower. To fuel its growth, Riskpulse is expanding its team and raising a round of capital. The company has been largely customer-funded since that first call from AB InBev. Beyond adding new shipper clients, Wensing described their growth strategy as “deeper first, then wider,” referring to a focus on workflows and integrations, before expanding to other modes and continents. Riskpulse is a predictive and prescriptive analytics company that helps its clients strengthen their financial and physical operations globally. Riskpulse was started in Austin, Texas in 2013. They added a downtown Chicago office in 2015.